Hotel parking and complimentary valet parking in a lighted parking lot with walkways and steps. Please contact The Hotel Hershey Catering and Convention Department at (717) 533-2171. 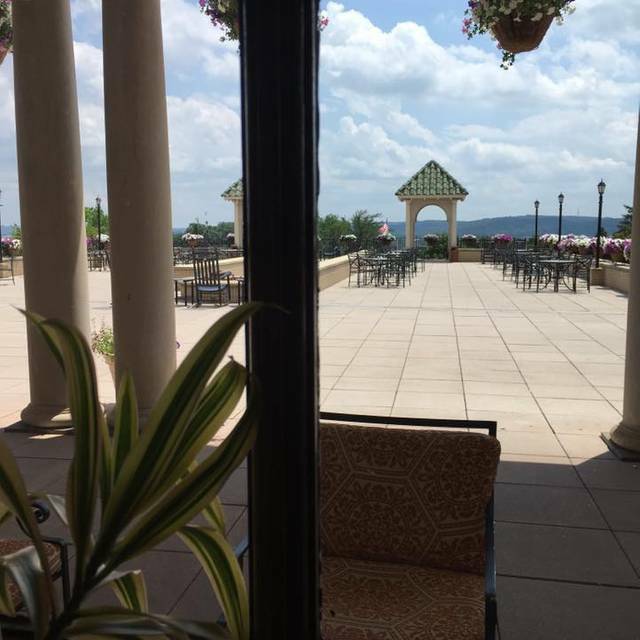 The Circular at The Hotel Hershey offers two private rooms available for up to 10 or 12 guests. $250 rental fee per room. Here, you’ll enjoy history with a twist of innovation. 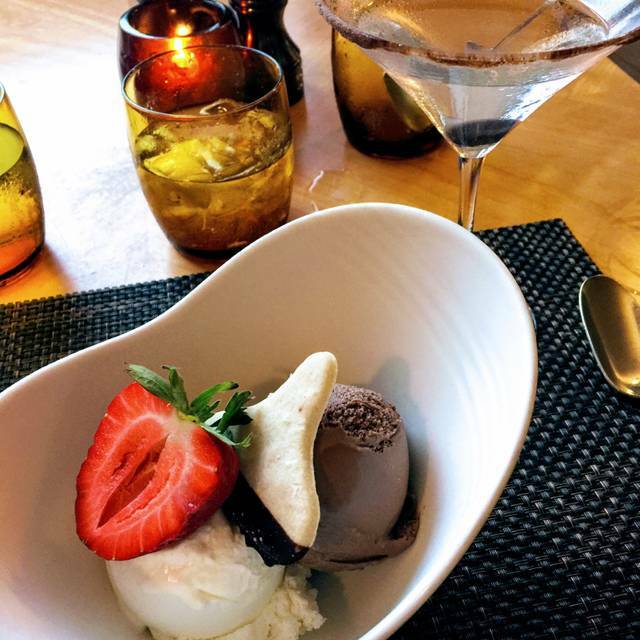 Try our signature cocktails, taste the new flavors of our menu, and enjoy the bustle of activity in our chocolate pastry gallery, where decadent desserts are created to order while you dine. True fine dining. Everything in this wonderful hotel is fresh, local, sustainable. John was our wonderful server. 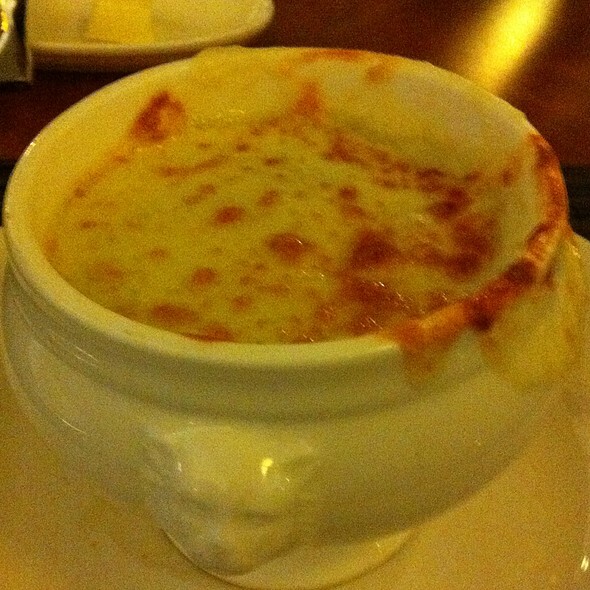 We enjoyed several 5-star dishes. The standouts were the fresh bread and creamery butter. I've never had anything that tasted so fresh and delicious. Also, the cocoa dusted scallops were a dish that I will remember forever. Sea bass entree made me want to lick the plate. I hope to be back one day! Wonderful meal from start to finish. Excellent menu with gluten free options. Service was beyond reproach. Great ambiance. Our experience was wonderful beginning to end! Food was fantastic. Our server Rose was attentive and knowledgeable. The ambience was perfect. I will definitely dine there again. I was very impressed with my whole experience. The food & service was great. The duck was excellent and very tender. And the banana passion fruit was de..lish! The roasted cauliflower with Roquefort was superb. Excellent food and service. Had a wonderful and relaxing meal in a beautiful location. Quite possibly the best meal I've ever had. An experience that won't be forgotten for a long time. We had excellent service and the food was spectacular. It was my wife's birthday and they made it very special. I highly recommend this place. We dined at The Circular for my birthday. The food and service were excellent. It was a wonderful dining experience! 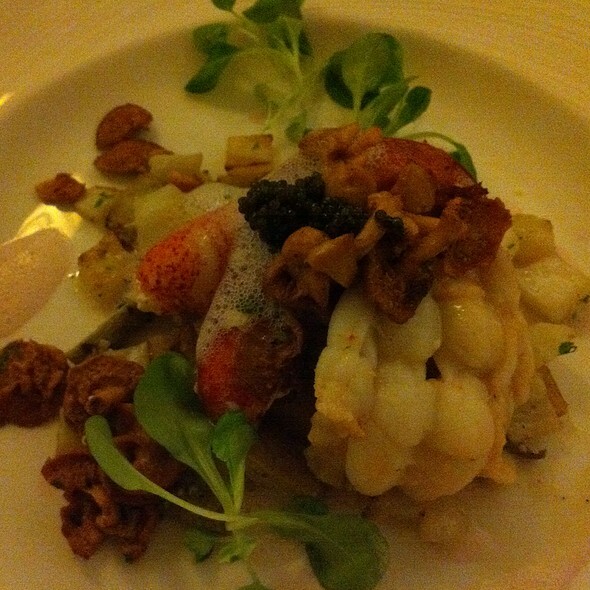 Impeccable service, wonderful food, excellent experience! Great food every time! Our table was a little squishy where we were located, but always great time! First of all, our server Noreen was wonderful. Very attentive. The food was average at best. Those in my party all were disappointed in the selection. Prime rib was dry. Mimosa lacking champagne. Fruit selection next to nothing. Then came the sticker shock. For 4 adults and one child...$246. Ridiculous. There are so many better places to enjoy fine dining. Food was good, not as good as usual. A bit gutted to write this...this used to be an upscale dining experience but now it has become another mediocre hotel experience. White table cloths have made way to cheap furniture and food that is either freezing cold or simply not what we ordered. The most amusing part was when a manager asked us how it was going and we answer truthfully but obviously negatively his answer was , "Well, let me know if I can do anything..." Wha....? Ask ME what you should do? Aren't you the manager? No thanks, Tom...I am not feeling creative enough to tell you your job. How about a comped desert or drink...or something. My husband and I were celebrating our anniversary. Our server Rose and her service assistant Mason were terrific. Rose went above and beyond to make our evening spectacular. Her menu knowledge was incredible and she helped us make the best dinner decisions. We can’t wait to go back. We have been coming to The Circular for over 20 years now....sometimes 3-4 times a year. We always choose the Circular when celebrating a life event, or just wanting a 5 Star Restaurant and Hotel to relax and enjoy ourselves in. The whole dining experience was great. The service and food was excellent. Our waiter, Mike, was able to answer any questions about the menu and was attentive to our party through out dinner. The only complaint came from the member of our party about the use of the ipad for the wine selection, he is very computer savvy but did not think the program was very user friendly based on how wine is normally selected. We enjoyed our dinner very much. Our server Patrick was very knowledgeable about the entrees and the wines. The birthday desserts were delicious and a nice finish to an excellent dinner. Loved the view from our window table. Look forward to a return visit. The food selection was impressive and the quality was outstanding. Tip: try to get an early reservation time! This was an Sunday brunch anniversary celebration. When we reserved our table, the only reservation times available were the later ones. 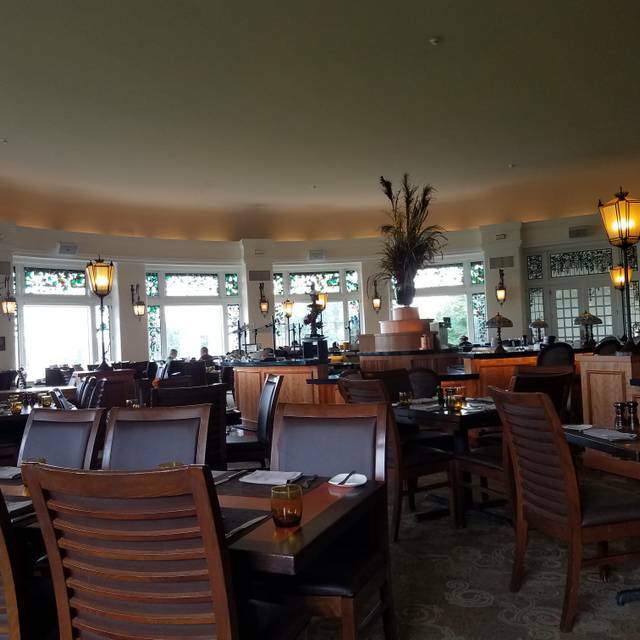 Although we did enjoy the brunch and our waitress was absolutely wonderful (she went above & beyond), we were disappointed to find that several of the items of the buffet were either gone or serving plates not replenished. Examples - they were completely out of lox and the fresh cheese plates were nearly empty & were not replenished. We were all surprised about this as The Hershey Hotel is really a top-notch place. It’s really hard to believe that the kitchen ran out of lox and fresh cheese....two no-prep items that’d be easy to keep on hand all the time. I’m hoping this was just an off day and that it has not become the normal. Always a great brunch! Come every year for my birthday! This restaurant is excellent but the host gets one star. We made a reservation weeks ago and stopped by earlier in the day to request a table by the window for a birthday. We arrived 5 minutes early and the host was stressed and mentioned we were too early and to come back in a few minutes. 10 minutes later we show up to be seated, and the host seated other guests by the windows. we were brought to a table with the worst view facing a wall outside. Based on this observation it seemed searing was subjective to their liking. We asked to be seated with a better view and the hosted said no these tables are available and they were reserved by other guests. We found a decent table despite there confusing policy for reserving guests. The host came by near the end of our meal and apologized. This was a nice thought but a little late. She disappeared when we needed her and her staff looked for her to assist us. Based on the other reviews I’ve read, it looks like there is an ongoing issue with the hosts. The wait staff was excellent and the food was great! The seafood was fresh and the dishes were very tasty. My husband and I dined here on Friday March 29, 2019 for my birthday. We took advantage of the complimentary entree I received via email for my birthday and as always, were greeted warmly and immediately shown to our table. The restaurant was busy, likely considering it was a Friday evening and we were there during prime dinner hour (6:30PM). 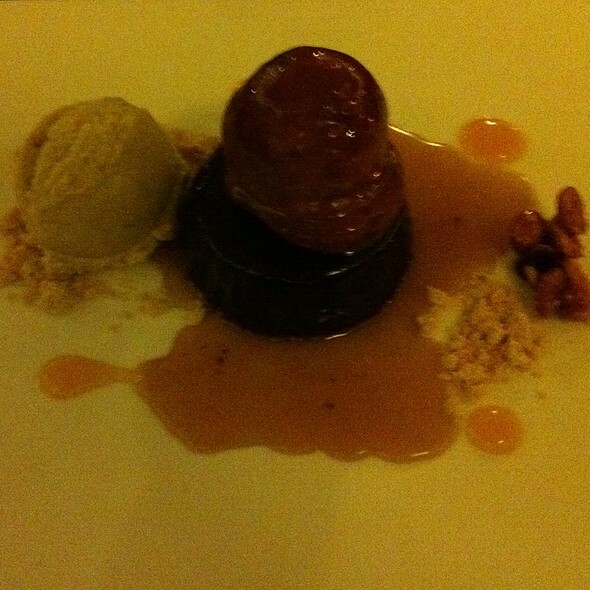 Everything was terrific, from the ambience to the food and the friendliness and suggestions of our waitress. The only thing that could have been a little better was the speed of service. The entire experience lasted three hours. Granted, we were not in a hurry, but at one point, we were looking around for our waitress so that we could order another round of drinks. I will, however, report that she was observed helping other tables and/or retrieving drinks from the bar. 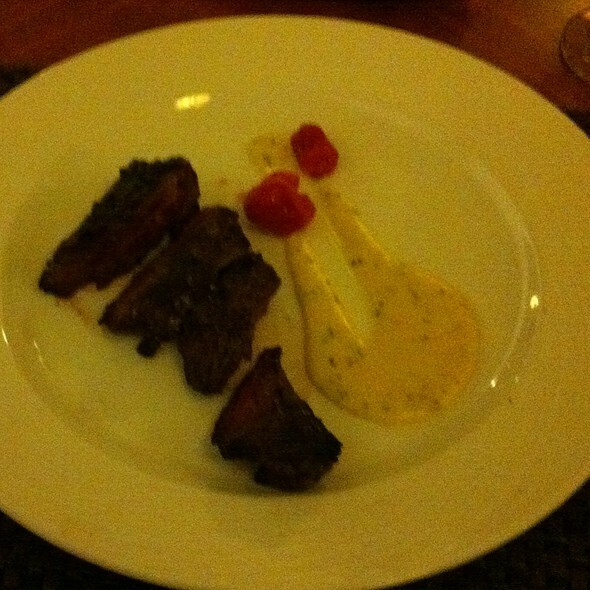 Overall, a restaurant in a beautiful resort-style hotel which I would highly recommend. Friendly staff. The hamburgers we had were the most tasty either of us have ever had! Our waitress was lovely! Delicious food! Dined here as part of the breakaway package at the Hotel Hershey and received very good service. 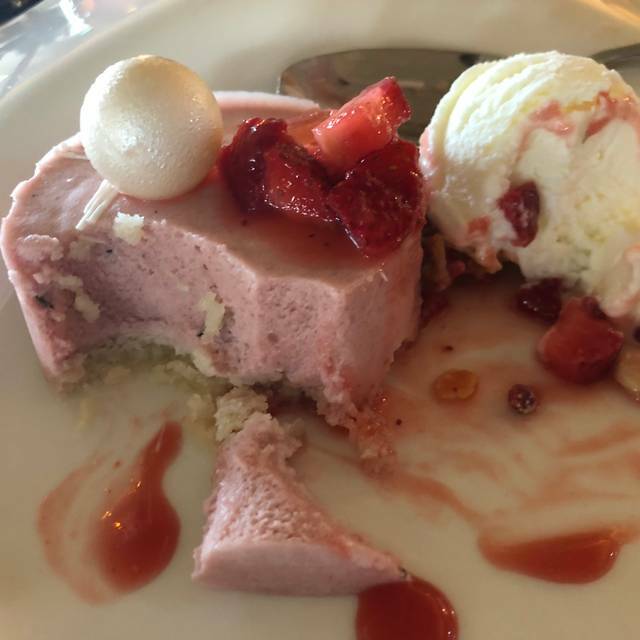 The wait was only a bit long to order dessert, but the meal went otherwise smoothly. We celebrated our daughters birthday. We’ve eaten at the Circular before but this was our first brunch experience. The food and presentation were excellent. Service was good but sometimes slow to clear plates, check on drinks, etc. Overall a very nice meal. We married the night before and just did a quick overnight at the hotel and spa we love. Dinner is excellent here. We had wonderful scallops and waygu strip steak. Delicious! 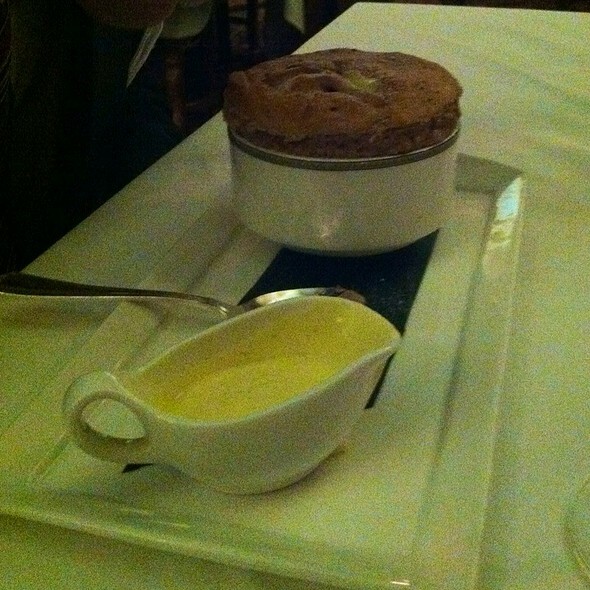 The chocolate soufflé was heavenly. Don’t miss their chocolate martinis. Our waitress was a doll! The circular dining room has beautiful atmosphere and history about the room. We have seen many changes in the 16 years we have been dining there. My husband had the prime rib that he loved. I had the shrimp and scallops that was delicious. e look forward to eating there again. Another excellent meal at The Circular. The steaks were wonderful and grilled to perfection. The Brussel Sprouts and the cauliflower sides were very tasty and differed from what we've normally eaten at other restaurants. I especially enjoyed the kale Caesar salad. It was made with baby kale; not the coarse full grown version. We also had the best waiter. His name was John. He was very attentive and personable. He was able to address my wife's food sensitivities and was so helpful. Overall, an extremely enjoyable experience. Can't wait to return. The ambiance at The Circular is always outstanding - the stained glass windows, the views and the service all make it an amazing experience. As usual, the food was also outstanding. The Amuse-Bouche is a great way to start things off. The bread basket selection is always good. The portion sizes are appropriate. And the dessert - the Dark Chocolate Cherry - was entertainment as well as tasting delicious. As always, The Circular does not disappoint! My favorite restaurant in Hershey. I am never disappointed. Food is wonderful, service is excellent. My daughter and I came to experience restaurant week. We are so glad we chose the Circular. Everything was delicious from the chefs complimentary Tuna Tar Tar , to the 3 course meal. I chose the crouquets for appetizer, they were amazing.. The chicken and waffles were decadent, and don't get me started on the dessert... The ambiance was beautiful and the entire staff was extremely professional and welcoming. Would definately recommend for special occasions etc. Excellent food with exceptional service. A wonderful experience. Service was outstanding and the food was amazing. I did not expect the variety of foods at the lunch buffet, especially during Restaurant Week, but everything was delicious. Went for their lunch buffet with friends and the service was terrible. No one came for our drink order, so we decided to start eating. No one still came. I had to stop a employee and ask if she could assist us and she brushed us off and said the server would be over. Finally, I stopped the dining room manager, who asked our drink order. Then the server was very snippy and rude as though we were a nuance/inconvenience to her the entire time we were there. She rarely came to rid of our dirty plates, so I sat them on the empty table next to us or another employee would take it because we would stand there not knowing what to do with the dirty plate while holding our new plate since there wasn’t room on our table. Food was a dry, probably from sitting out but it was a nice selection l. The dining room was very nicely set up and decorated. I wouldn’t recommend the lunch buffet, maybe dinner is better.